If talented, motivated workers are a company’s bread and butter, visionary leaders are the secret sauce that fuels innovation and growth. Identifying that dream team may seem like an ever-elusive dream of management and HR alike, but often the challenge is thinking outside the box to find those who aren’t obvious leadership material. Oftentimes this means looking internally to promote team members, rather than bringing in a big shot from another company. Although outwardly the logical choice would be to hire someone who already possesses the necessary skills and background to fill a role, internal mobility can be more beneficial for a number of reasons. A professor at Wharton School of Business stated that not only do external hires perform worse during their initial two years in a position than internal workers, they are also more likely to quit sooner and are paid more. In fact, external hires may cost an organization anywhere from 18% to 20% more than internal hires. Deloitte found that almost 90 percent of employers surveyed agree that a solid internal mobility program to encourage promotions and development would boost retention and keep on star players. Despite this, only a third had a similar program in place at their organization. Clearly, there’s a huge talent pool organizations are overlooking in their search for better talent. Ironically, the ideal candidate may be just down the hall from those making the hiring decisions. Regularly scheduled one-on-ones or periodic reviews are prime time to ask employees telling questions. These are especially important for employees who you may not necessarily spend much time supervising or working directly with. Jot down a few outstanding executive interview questions to include in your next round. These may be anything from asking which leadership traits they admire to something he or she is striving to learn at the moment. Weighing a leadership candidate’s eligibility based on a glance at previously held positions is a huge mistake. Titles may reveal a rough idea of what level of responsibility a position entailed, but n no way are they comprehensive. Some companies to even inflate job titles to make them sound sexier and attract talent. What the individual did while holding that title is what uncovers leadership experience. If this candidate is an internal employee, how has he or she interacted with peers in the past? Is the person a team player who makes a point to help others or a lone wolf? For external candidates, keep an eye out for how they navigate meeting you and others in the company. Not only do leaders need to possess a strategic outlook, they should also exhibit tremendous interpersonal skills to mentor others and motivate. Similar to how university admission processes review students’ past involvement and examples of initiative, managers should assess how often (if at all) a candidate has gone out of his or her way to reach goals. This could be spending extra time to train a new hire when it’s not their responsibility, holding brainstorming meetings to inspire a team, or identifying solutions to a problem that they weren’t asked to solve. First, take a look at the open leadership position in question and evaluate what traits are most needed. Is this a position in the candidate would need to work closely with team members to strategize or a client-facing role to which others report with results? Popular personality assessments like the Myers-Briggs Type Indicator are used by HR departments across industries to identify employees’ preferred communication styles to best optimize how information gets transmitted. Sometimes the best solution to a problem has been right in front of you the whole time. Before investing more time and funds to find talent elsewhere, evaluate your own company’s workforce to see if there’s a future leader brimming with potential. 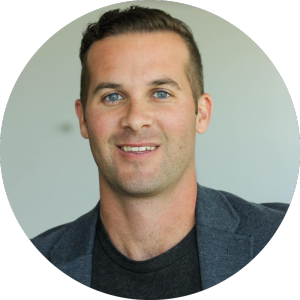 Brett Farmiloe is the current CEO of digital marketing agency, Markitors, and previously helped co-found a leadership search firm. He frequently contributes thought pieces on leadership and marketing strategy to publications like Forbes and Huffington post.